Officewear takes an AllSaints twist. 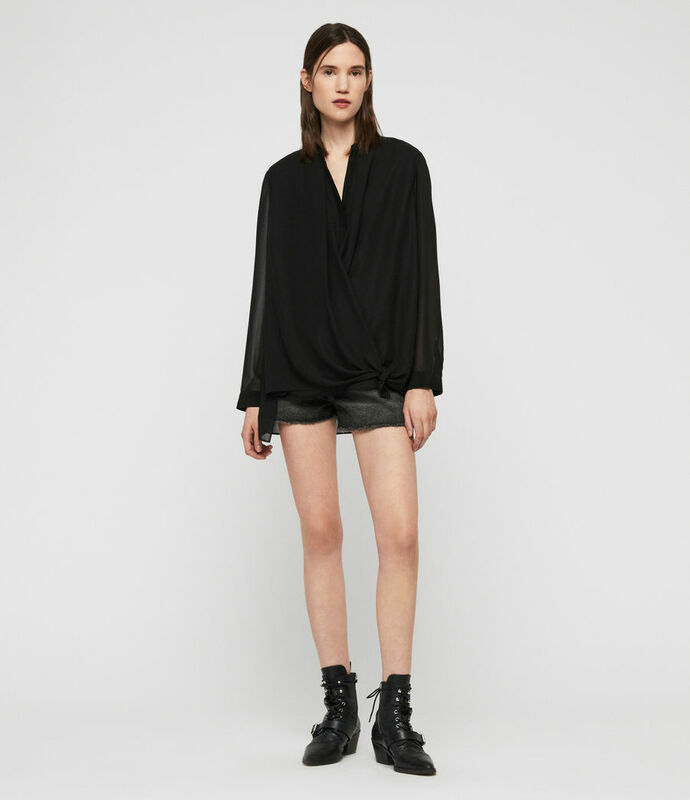 The Nova Shirt features a bespoke sheer overlay that ties at the side for a modern silhouette. Tie detailing to the front.